You can avoid carrying lunchbox to college, because you probably can survive on a wadapav from the canteen, but when it comes to work, you're in the office for more than six hours. You have to carry a lunchbox, but just because there's not enough space in your handbag, you don't carry it. Also, handles of some of your handbags are so weak, that even if you have space in the bag, you still wouldn't carry anything that's heavy or takes up space. I do that; I avoid carrying anything heavy, but now my internship demands food. I carry meals/snacks for breakfast, lunch, late afternoon, and for evening. 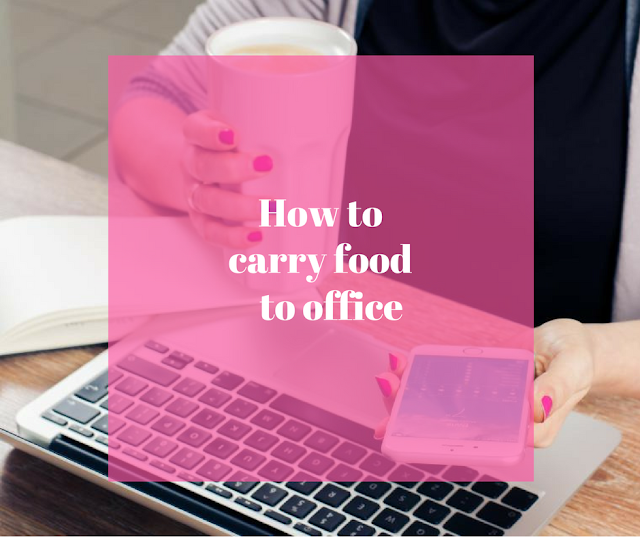 For lunch, I carry a heavy meal, and for other meals, you can check this post out. I have mentioned everything in details in that post, so you'll get an exact idea. I always fear bag's handles coming off. I have avoided carrying things just because of this fear, that I had to find a solution. So whenever I'm carrying my totes, which are large, but I feel have weak handles, I go for something in addition, like a shopping bag. I have a cute pink coloured shopping bag, which is made out of cloth. I keep my bottle, lunch box, snacks, (and umbrella) inside this shopping bag. Whenever I'm walking, I remove the shopping bag from my tote and hang it on my shoulder. Whenever I sit, I keep that bag inside my tote so that I don't have to look after two things amidst the maddening train crowd. This method is great because you can either keep food inside your tote or outside it, depending on the situation. You can't always carry larger bags. Whenever you want to pair that adorable small handbag with your stunning outfit, you wonder where you will store your lunchbox. It's simple; just use a matching paper bag and keep your food inside it. That way, your look for the day won't ruin, plus paper bags have their own charm, I reckon!